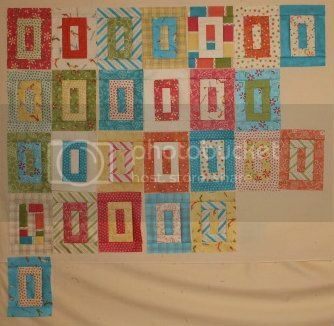 I haven't had too much piecing time, in between dresses and quilting and binding, but I run a couple of these every night, just to see them multiple on the wall. Also, y'all should check out Sew Mama Sew's Giveaway Day. I'm not giving anything away this time - too much to do before heading out this weekend - but there's always tons of goodies!